Dimension. 30 ft w x 10 ft h x 2 in d.
Commissioning Agent. The Wharton Performing Arts Center. Created for a Performing Arts Center, the image resembles a stage, curtains just opening. Could be a oscilloscope, device that makes soundwaves visible. 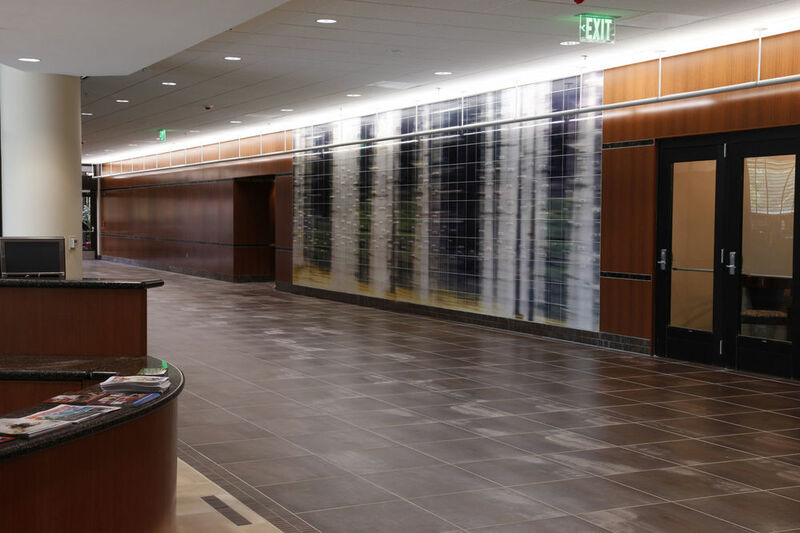 It is subtle, open-ended and interpretive, much like what goes on at the Performing Arts Center. 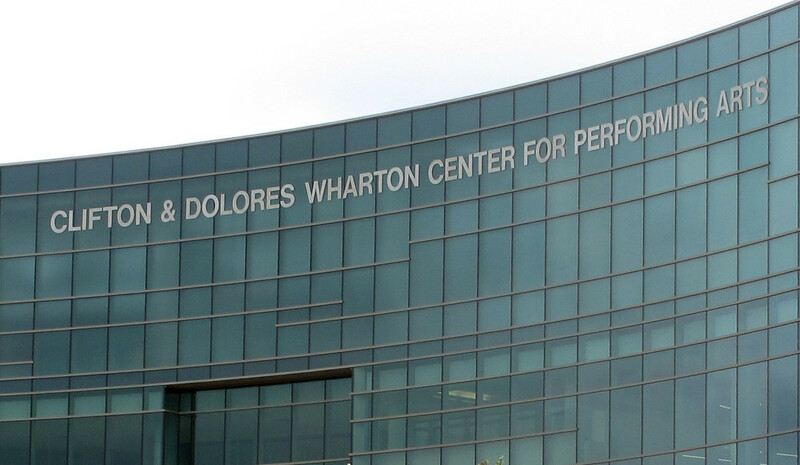 The Wharton Performing Arts Center. East Lansing, MI.